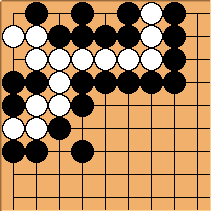 tderz: I would like to introduce variations about the (un-)equivalency of this immideate . 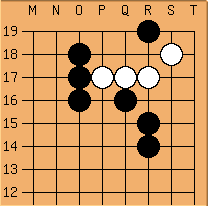 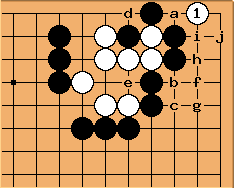 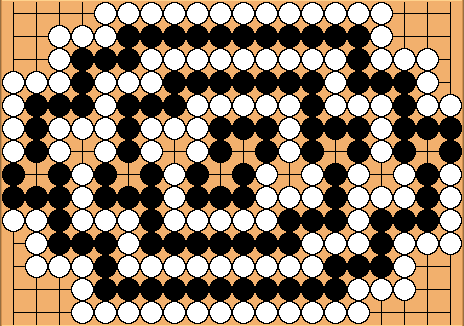 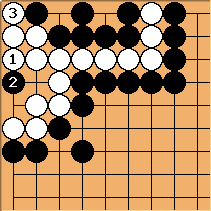 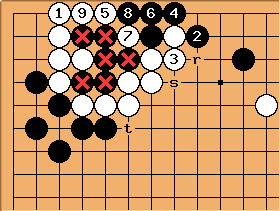 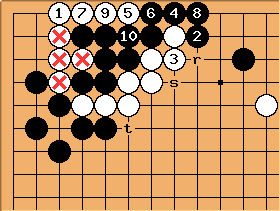 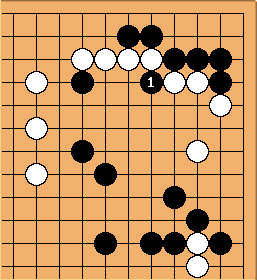 What will happen after black connects at a.
tderz: I consider this a 'virtual' ko, e.g. 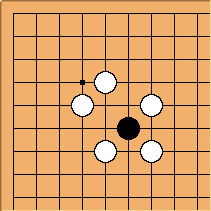 at a-b a/o c (there is even a variant wit a ko at d.
It is a question of skill to correctly define the status of that group and see that there is a ko involved here. 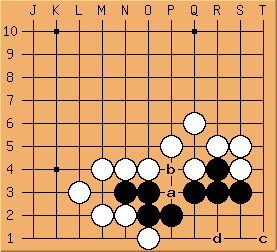 Yet this example demonstrates too that 'dead ko' is not a prima facie-derivable characteristic from a very local position, rather an end of a thinking process, more precisely the one if both players play technically most correct. 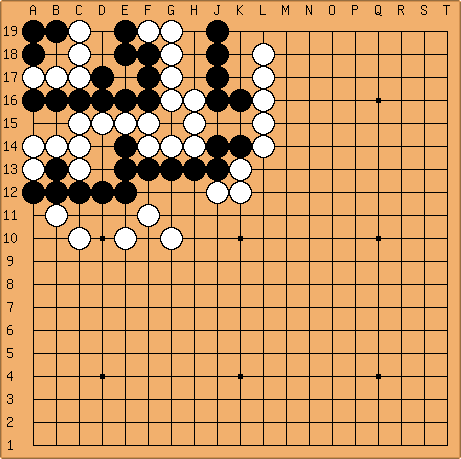 Kyoung-nang Kang 7d swept the 2010 Hungarian International Tournament, going 5-0 at the June 4-6 event in Budapest. 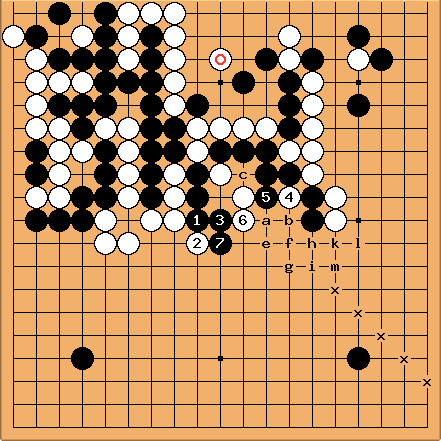 Pál Balogh 6d was second and Pavol Lisý 4d took third, both coming in just ahead of long-time teacher Csaba Mérõ 6d, and all with three wins. 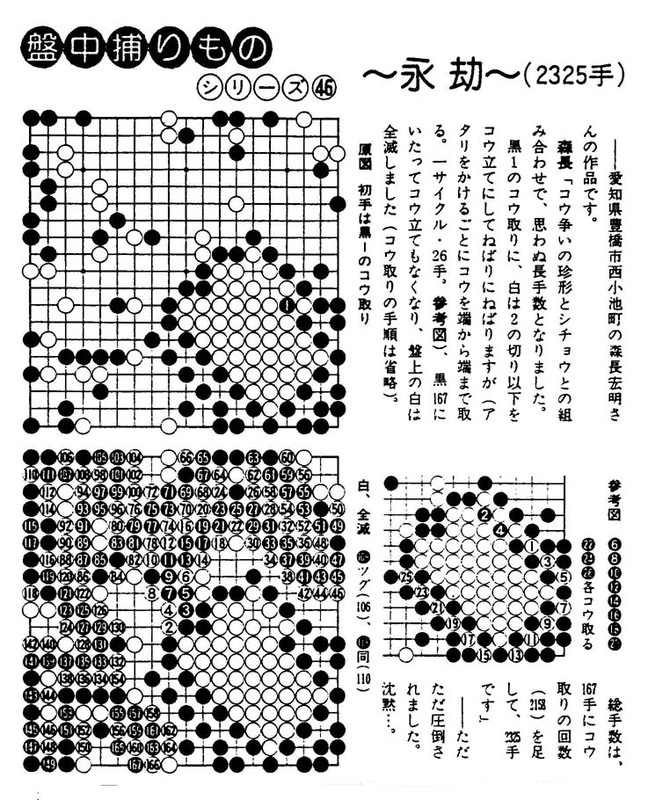 There were 44 participants in the tournament. 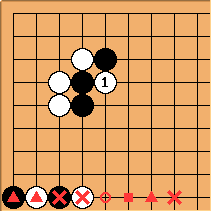 Black cuts with . 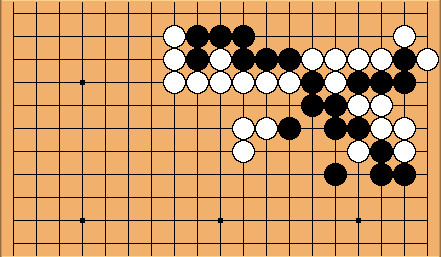 How should white respond? 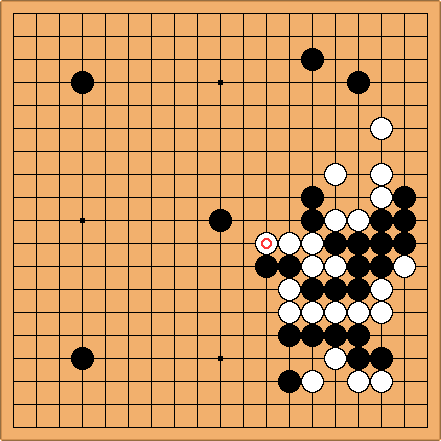 "What I find myself doing in 90% of my online Go games."